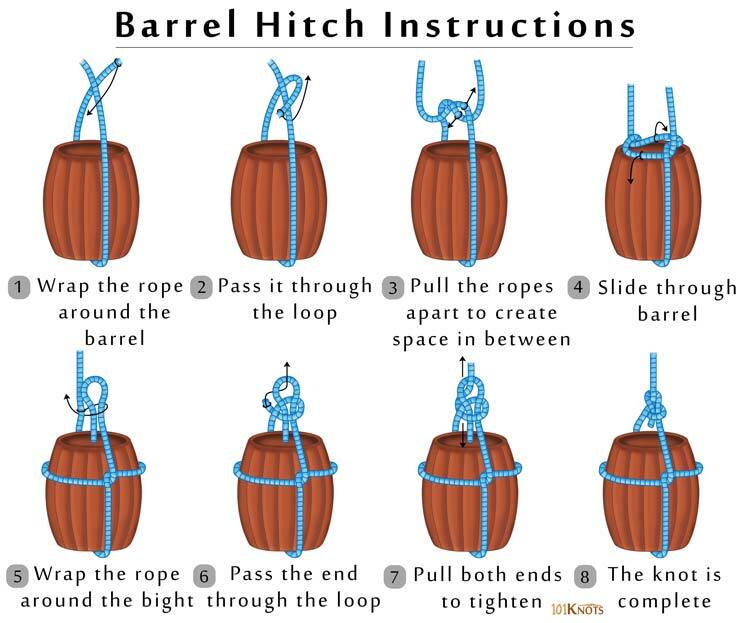 The barrel hitch lifts a barrel in an upright position. It can hoist any cylindrical container with its top open by surrounding it with a rope. The knot finds a place in The Ashley Book of Knots. The bale sling hitch that is based on the cow hitch can do so with containers having their tops closed. It is reasonably safe and secure. 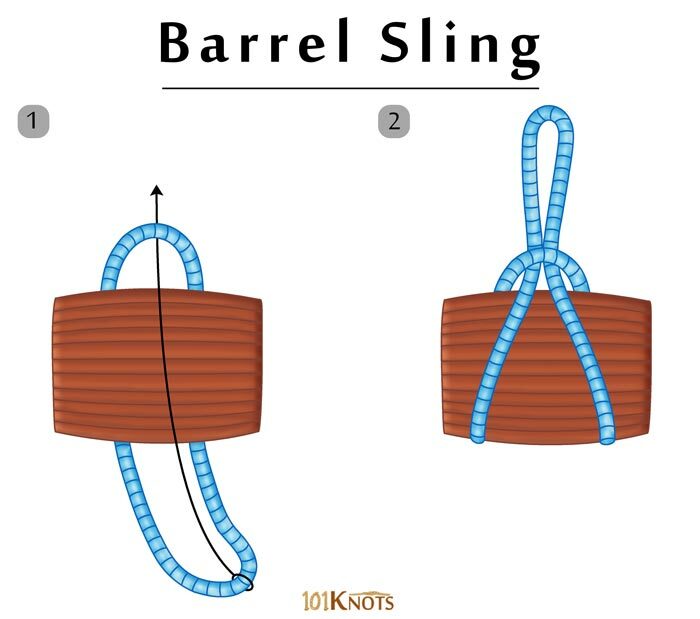 An overhand knot is made in step 2 that is spread across the barrel in the next step. Starting from step 5, a bowline knot is made in the rope over the barrel to join the ends. 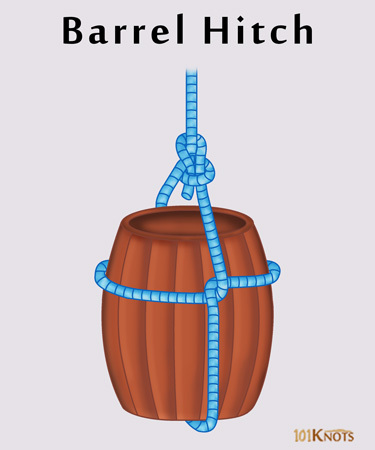 The rope should encircle the barrel above the center of gravity so that it doesn’t tip. But it should not be so high such that it approaches the upper lip of the container since in that case the latter might slip. The lower rope that goes beneath the container should be directly under the center of gravity for proper balance. The barrel sling – It can lift a barrel lying on its side with its ends sealed.